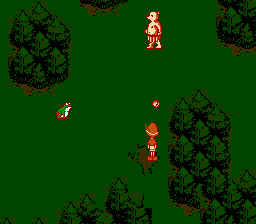 Pi Nuo Cao De Fu Su is an action role playing game for the Nintendo Entertainment System. 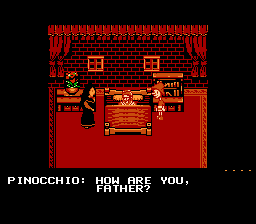 The game is based on a children’s story, Pinocchio. 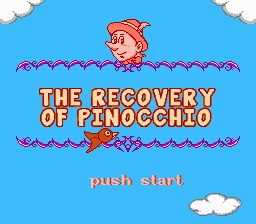 This is the English Translation of the Chinese game The Recovery of Pinocchio for the NES. Help young Pinocchio, as he travels the land to find medicine for his sick Father. Along his quest, he meets various characters, and discovers that his quest will be a whole lot more arduous than what he first though. 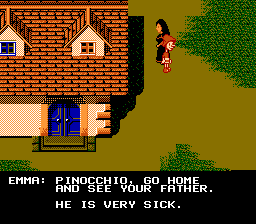 It seems that an evil witch has overrun the land with darkness, and Pinocchio may be the only one able to stop him. If he succeeded, he could possibly gain the one thing he’s always wanted… to be a real life boy!! !